Plus two great short stories: Two of the master's finest: one on the nature of being, the other on what it means to be a Man. The second story, "Jerry Was a Man," was adapted for the TV series Masters of Science Fiction, and is now available on DVD. Robert A Heinlein is considered one of the Big Three of classic science fiction (along with Isaac Asimov and Arthur C. Clarke). 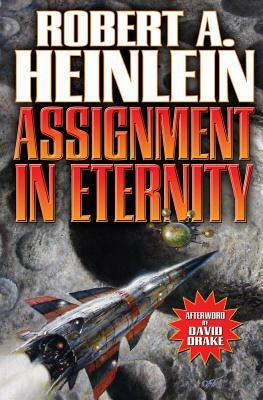 Heinlein is a seven-time Hugo Award recipient and was given the first Grand Master Nebula Award for lifetime achievement. His worldwide bestsellers include Have Space Suit--Will Travel, Stranger in a Strange Land, Starship Troopers, Time Enough for Love, and The Moon Is a Harsh Mistress.